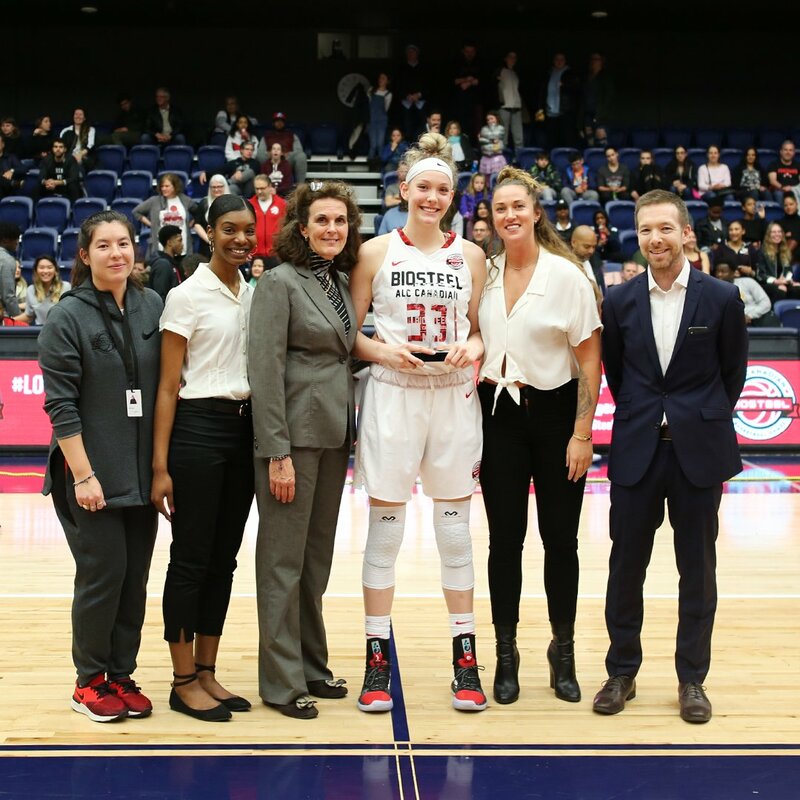 Team Alberta alumnus Brynn Masikewich was named MVP of Team White after leading her side to a dominant 112-78 victory over Team Red in the inaugural BioSteel All-Canadian Girls Basketball game at the University of Toronto's Goldring Centre for High Performance Sport on Sunday, March 31. After going scoreless in the first half, the 17-year-old Calgary native erupted for 16 points and 5 rebounds in the second half of the game, which featured 24 of the top high school players from across the country and was broadcast coast-to-coast on TSN platforms. "It's absolutely ecstatic to have this opportunity to play in front of everybody in this, the first (BioSteel game) in history for women," Masikewich said during a post-game interview with TSN. "I did start off slow, but then I just realized, keep doing the small things, keep getting the boards, keep trying to find my teammates, and then it was like, 'Ok, it's my turn,' and it worked out." Masikewich played for Team Alberta from 2014 to 2017, and has spent the last two summers competing internationally with the Canadian U16 and U17 national team. She has committed to UCLA, where she will play NCAA Division 1 women's basketball for the Bruins beginning with the 2019-20 season. "Brynn is a clutch performer who demonstrated her abilities to perform on a big stage in the BioSteel All Canadian Game," says Alberta Basketball's executive director, Paul Sir. "Congratulations to her and best wishes as she hopes to represent Canada this summer prior to starting her career at UCLA."